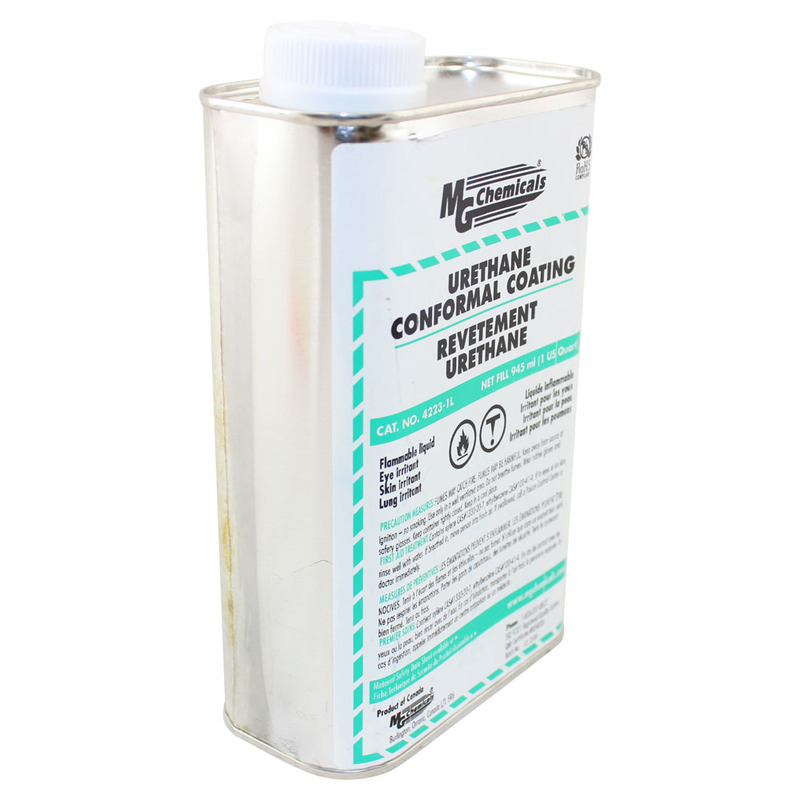 A durable protective coating for printed circuit boards. 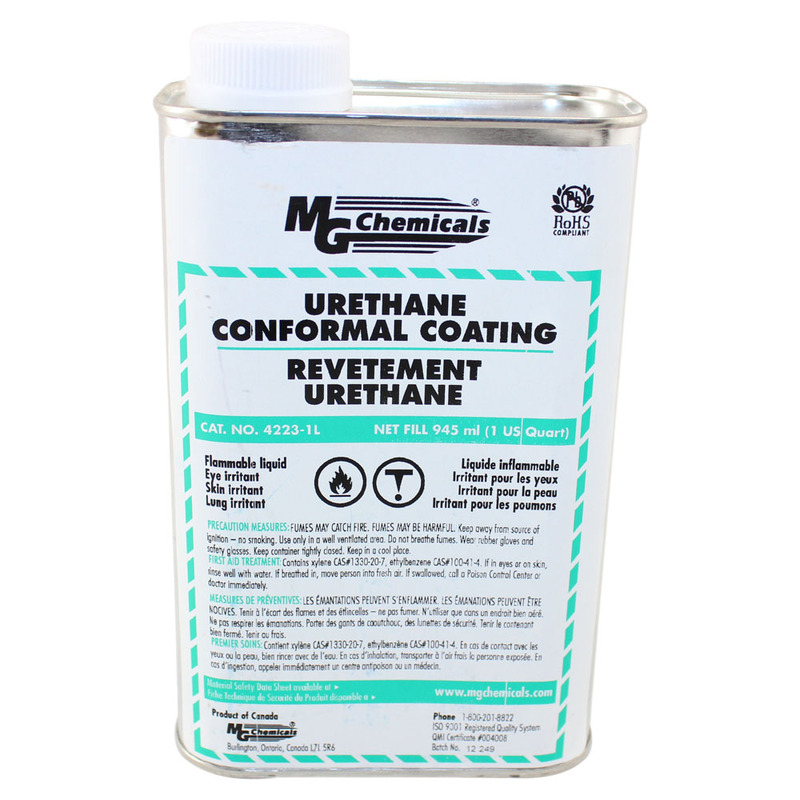 Provides protection against fungus, moisture, corrosion, thermal shock, and chemical environments. For use on electrical generators, motors, transformers, relays, and solenoid coils. Contains UV Indicator. 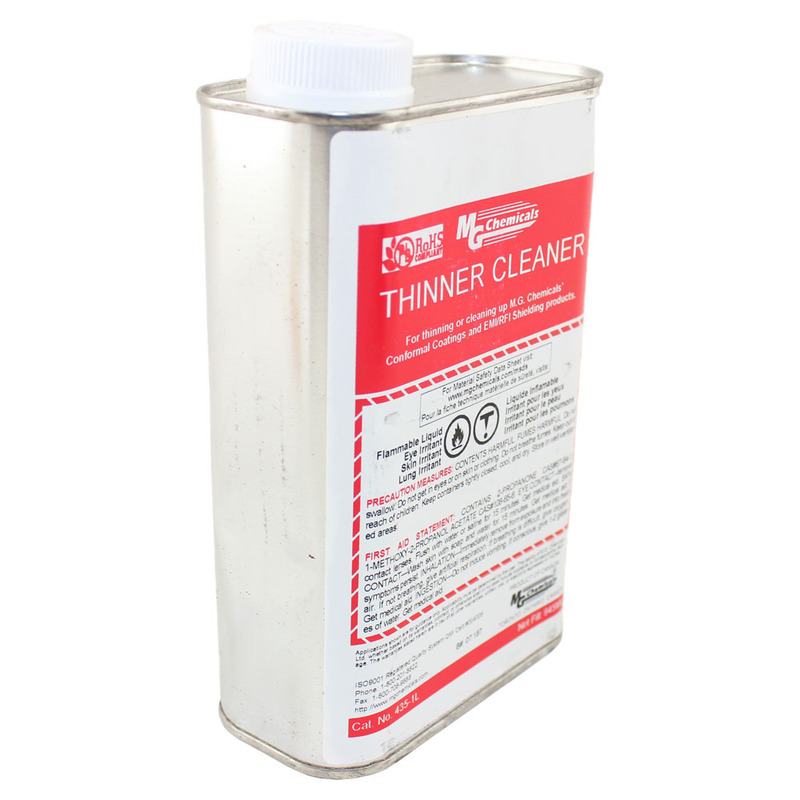 For clean up, use MG Chemicals 435 thinner cleaner.